Discover the Secrets to Dominating Google with Simple Little Videos. Follow my Simple Little System to Rank Page 1 time and time again with Simple Little Videos. 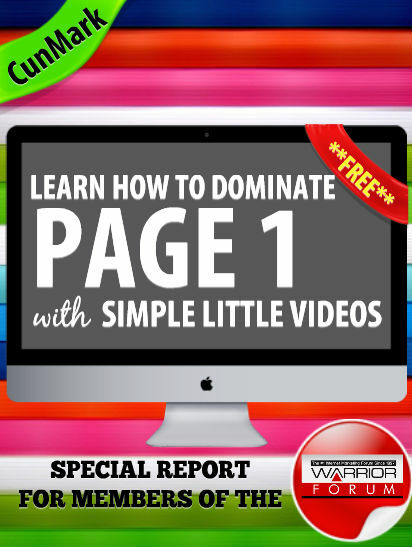 Get the Free Warrior Report, Mind Map and Quick Start Checklists to blast your way to Page 1. Grab it now before this Free Offer is taken down forever. Enter the email address to where you want the report delivered to.